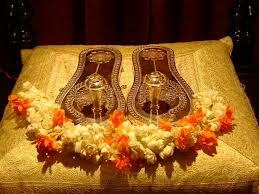 This Guru-Shishya relationship is a very intimate one and needs to be so for the Shishya’s success. It is a two-way process, for the Guru, in turn, is enabled to have a more intimate and deeper understanding of the disciple, and thereby is better able to guide and direct the course of progress. When a Guru accepts a disciple, he also accepts a serious responsibility. A true disciple will exude the brilliance of his Guru just like an Upasaka of Sun God exudes the brilliance of the Sun. In the earlier days of Gurukula System of learning, it can be seen that the Gurus were just deeply involved in their sadhana – both spiritual and any other form of art they practiced, for liberation. The disciples were silent spectators carefully watching the Guru, following his footsteps and doing all the necessary services that would make him happy. Such unflinching devotion of the disciple will definitely make a Guru happy and the radiance he emanates just like a Sun, will fill the disciple’s life with abundant knowledge, peace and eternal happiness. Guru is the Supreme Energy, the medium through which jnana or knowledge flows to the shishya or disciple. The less fortunate do not recognize the Guru and his vibrance as the embodiment of Supreme, even when face to face with him – like a blind person stands before the arisen sun. A true Guru will be free of vices, will have spotless personal character and integrity, follows dharma and spiritual practices and in turn will be greatly devoted to his GURU. He will be of moderate speech, of excellent conduct and would have conquered desires, anger and senses (beyond all enticement), says Guru Gita. Service to the Guru can be done in many ways. Service with our own hands, service by wealth, service by making him happy by being helpful to him or his family etc. Such dedicated selfless service done with great devotion and according to ones own means have great positive impact on the disciple’s life. “Be always in the service of Guru, ever in his presence, giving up desire and anger, humble and devoted, lauding in spirit, upright in doing his work”, says scriptures. Knowing the mind of the Guru, be by his side, with great humility and gratitude. Such service to the Guru will dissolve away the sins, brings fulfilment and shows the path for enlightenment. The guru is like a deep well from which one can and should draw forth wisdom and blessings. In order to receive the graceful radiance or vibrations from the Guru, the disciple has to come forth and make himself available at the presence of Guru’s wealth of accumulated knowledge which the Guru has received from his Great Guru Parampara and also his own practice or Sadhana /Tapas. Such was the Parampara of the Trinity and other great vaggeyakaras. So it is for the disciple or seeker to go in search of knowledge and make himself available for the supreme knowledge. The disciple should always be like a dry sponge never satiated for his quest for knowledge. destroys the ignorance, as darkness is removed when a lamp is lit. Inorder to attain the knowledge of Self, one needs a Guru. Guru is not limited to a body or a form. It can be an event in your life that teaches you a lesson. It can be a book that can change your life to a new perspective. In this case, the letters or aksharas you read become the Guru. An example of such a book is Bhagavad Gita. Guru can be in the form of sabdha/sound that teaches you something important. This can be even in the form of a discourse you hear while you are travelling. When an individual becomes your Guru, he initiates you into the spiritual path through Manthropadesam. He can also teach you any art form like Music, Dance, Drawing etc. For a true seeker Guru comes in your life at the right moment without your asking. This is divine intervention. Such divine intervention comes only when you have a burning desire to acquire knowledge,have implicit faith and belief on the Guru and an unconditional surrender to the Guru. When you elevate yourself to such a state of unflinching devotion and surrender, your life is filled with the divine light of Guru and you end up feeling blissful and ever at peace. One should look toward the direction in which the Guru Paduka is placed and bow down with great sraddha or devotion to them every day. There is no mantra higher than that of his feet, no merit higher than his worship. All knowledge resides on those paduka. Only a sterling and untainted heart will be able to treat Guru and God as one. Guru Poornima is the auspicious day to feel grateful to our Gurus, for all the great knowledge we have received. Our conscientious gratitude and devotion to the Guru will bring a definite and positive change in us. We will be in the process of transformation towards the betterment. 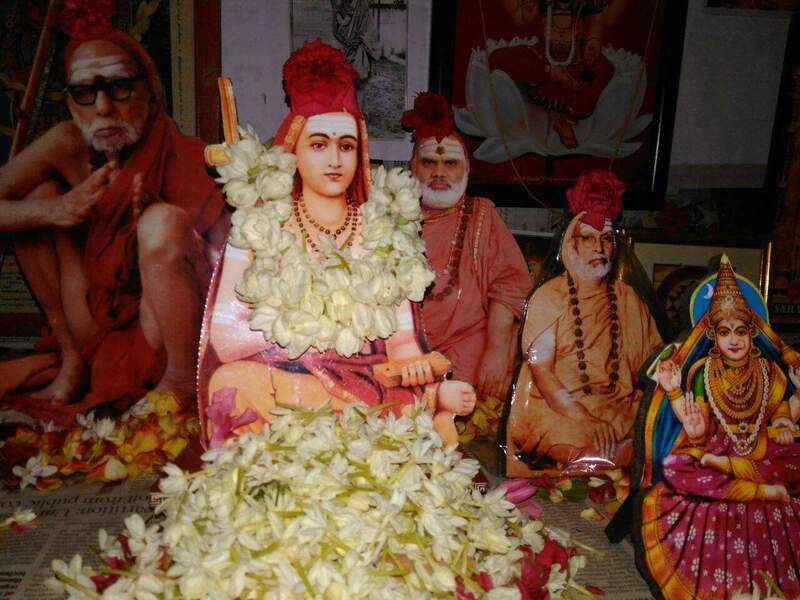 In this process, Guru Kadaksham enables the disciples to uplift others also who are connected with them and harmonize forces around them.